California Mexicana: Missions to Murals, 1820–1930 explores how Mexico became California. Juxtaposing paintings with popular posters, prints, and some of the earliest movies made in Los Angeles, the exhibition reveals how this image of California spread worldwide. Objects range from picturesque landscapes of Alta California and still life paintings featuring fruits, flowers, and other plants that celebrated the state’s agricultural growth, to works by early modernists such as the Mexican painters Diego Rivera and Frida Kahlo. 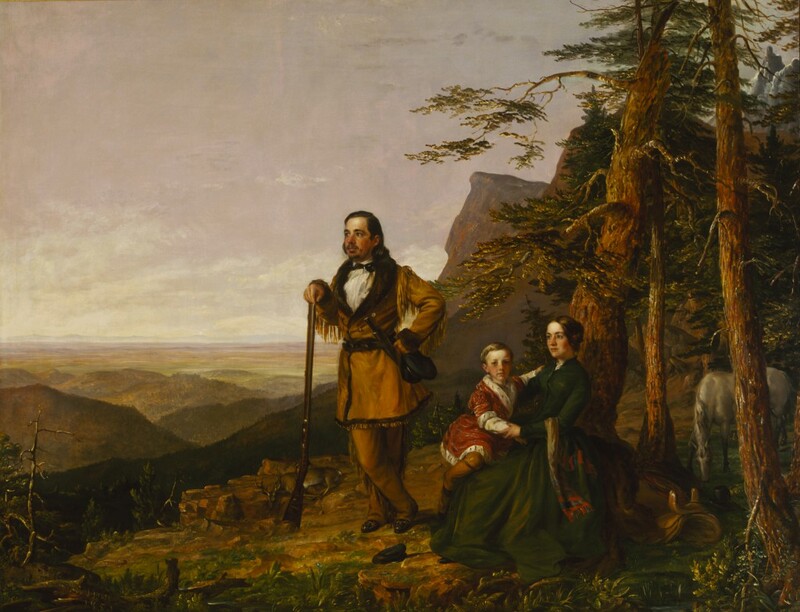 Included in the exhibition from the Terra Foundation Collection, William S. Jewett ’s The Promised Land-The Grayson Family depicts Captain A. J. Grayson, an ornithologist-artist, his wife, and son as they emerge from the wilderness to view the summit of the Sierra Nevada. California Mexicana: Missions to Murals, 1820–1930 is part of Pacific Standard Time: LA/LA, a far-reaching and ambitious exploration of Latin American and Latino art in dialogue with Los Angeles.